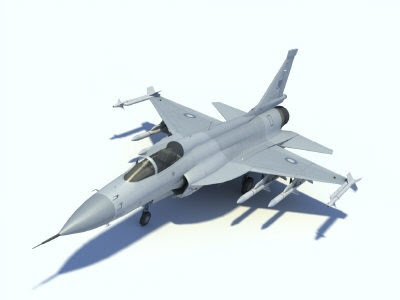 The US said no to Pakistan over their F-16s, so Pakistan made their own with China, creating the JF-17 Thunder of 'Fierce Dragon'. This brings me nicely on to Trumpeter's 1/48 scale kit and it is really very nice. Well engraved and riveted, great cockpit, but terrible decals. While looking at photos of the real aircraft you can't help but notice how F-16-like it is, but with a Russian influence. This gave me an idea, to combine both looks into one radical colour scheme. I chose a great aggressors scheme I'd seen in Scale Aircraft Modelling. Also, I had some good decals from Linden Hill. So here are the photos. I think you might agree that the first photo, of the aircraft in service with the PAF is a little dull...Sometimes it's good to think outside the box.